Fall has arrived and Halloween is right around the corner. Since the whole neighborhood will be stopping by, why not go all out with some super spooky tree decorations? Jacksonville tree company TREECO has rounded up 6 cool ways to dress up your trees this time of year! 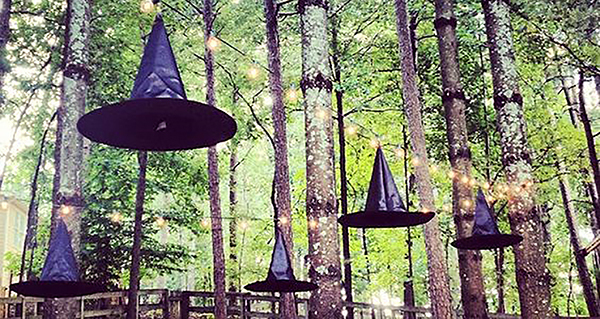 Make a frightful statement with a collection of witches’ hats. Start by stringing some outdoor lights on your trees in either white, orange or purple. 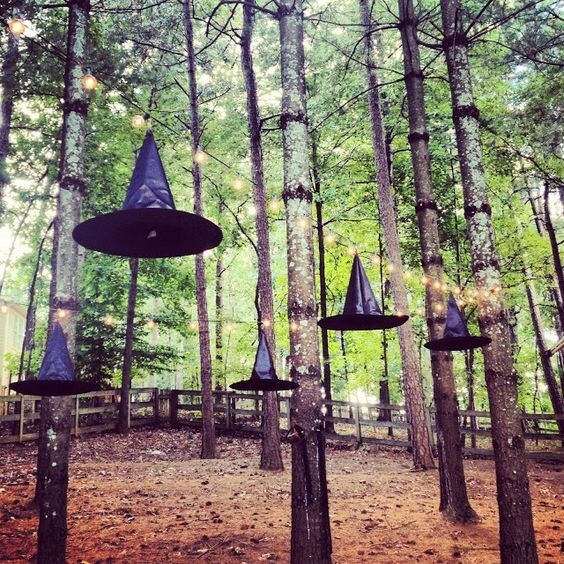 Then hang as many black witch hats as you like. They can be all one size or a variety. Color large paper clips black with a Sharpie. Cut a small slit in the top of the hat and fish the paper clip through to hang the hat. Give your yard a magical glow. 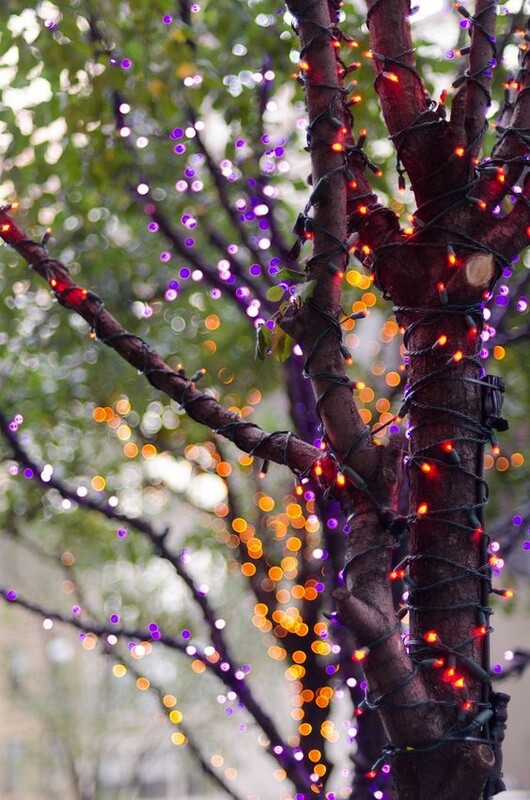 Simply string your trees with orange and purple outdoor lights for a festive Halloween feeling. Dressing up your palm trees puts a fun Florida spin on your Halloween décor. At St. Augustine tree company TREECO we love the look of wrapping your palm tree trunks with white lights. 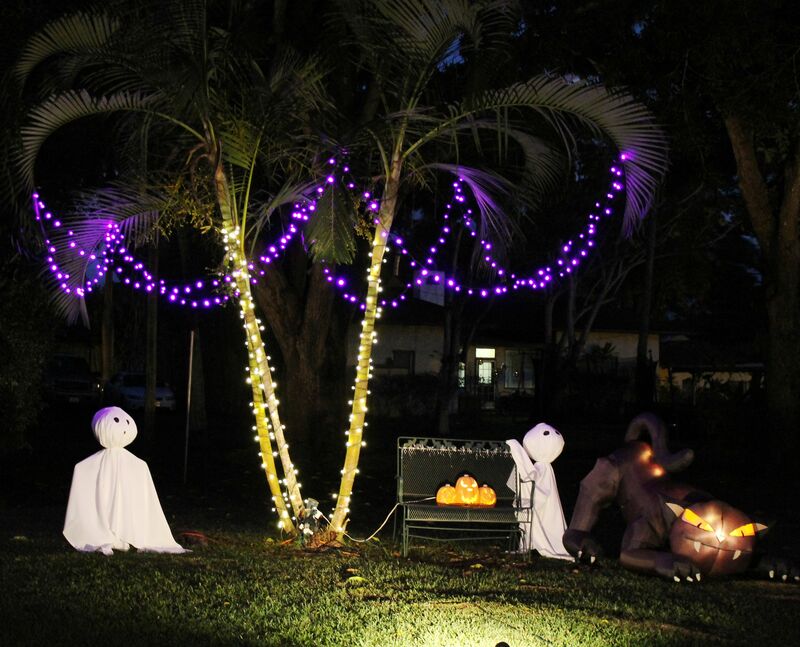 Then string purple lights from the palm fronds for festive curb appeal. 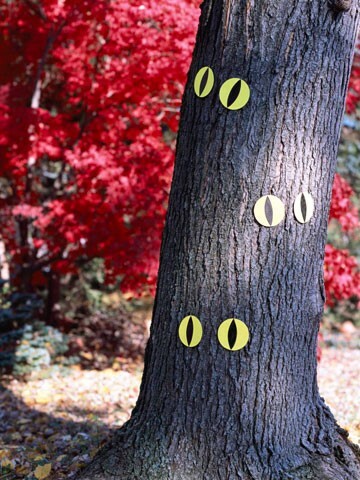 Hang signs to spooky attractions on the trunk of a prominent tree in your yard. 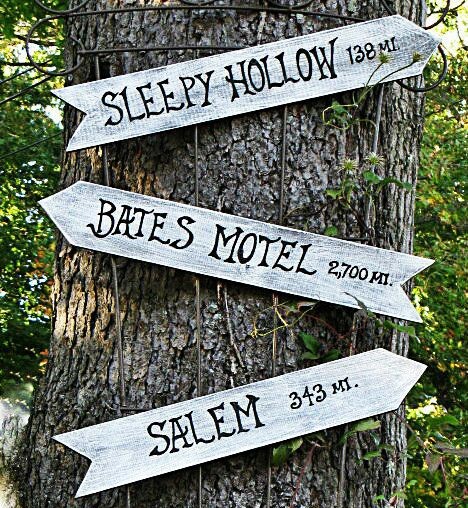 Using pre-cut wooden arrows and some paint, create destinations such as Elm Street, Amityville, and Transylvania. This is a fun, not-so-scary approach to decorating. for those with younger children. 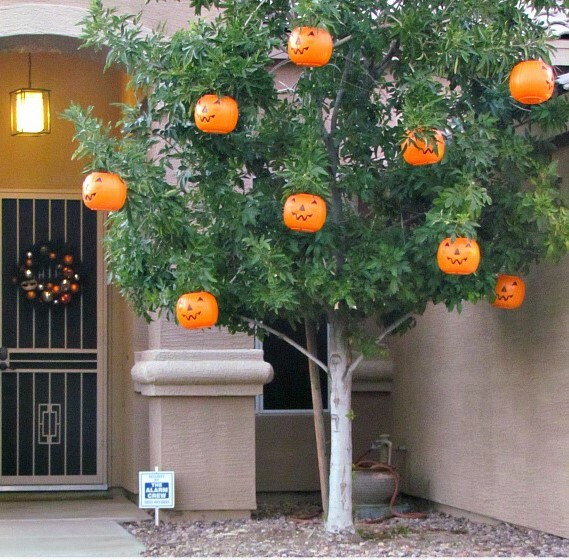 Simply hang store-bought plastic jack-o-lanterns on the branches of a tree. It will be sure to make trick or treaters of all ages smile. We hope you try some of these festive tree decorations this Halloween! If you do, share your pics with us on Facebook! TREECO is a full-service tree removal service the Jacksonville and St. Augustine area. Our certified arborists and tree surgeons are available for emergency tree services 24-hours a day. We also have the equipment necessary to handle even the biggest removal jobs. Contact us today at (904) 810-1033.